A 51-year-old woman with a high concentration of fats in the blood and a family history of heart disease asked her longtime primary care physician (PCP) for a referral to a cardiologist. Although her doctor’s office reports having sent the referral, she never received it. After numerous calls to her PCP, the woman finally – three months after her initial request – had a cardiology appointment scheduled. She died of heart failure the day of the appointment. This case, which malpractice insurer CRICO reports was settled for $150,000, is a disturbing example of a physician referral process that is rife with the potential for miscommunication and harm to patients. Concerned about the number of cases of missed or delayed diagnoses related to snags in the referral process, CRICO funded a recent report from the Institute for Healthcare Improvement/National Patient Safety Foundation designed as a call to action to standardize the complex process. 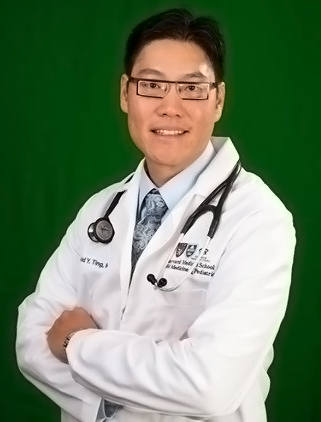 As a PCP, Ting often refers patients to specialists. Yet even within Massachusetts General Hospital (MGH), making the referral is not straightforward. Some MGH specialist practices, Ting notes, reach out directly to the patient to schedule the consult. Others expect Ting’s office to handle the initial scheduling. Still others expect the patient to take the initiative. That’s just the first step in a process that, when it runs smoothly, moves from scheduling to specialist appointment to plan for further care, all with appropriate communication and follow-up with both the patient and referring physician. The process is even more complicated when the PCP and specialist practice in different systems with different electronic health record (EHR) systems. With more than 100 million outpatient referrals a year, up from 41 million in 1999, a few statistics cited in “Closing the Loop” underscore the problem. By some estimates, only half of referrals are completed; according to one source, almost one-quarter of medical malpractice claims are due to a delayed or missed diagnosis; and about 20 percent of diagnostic errors in primary care can be traced to breakdowns in the referral loop. Among its Harvard-affiliated members, CRICO counts 46 referral-related medical malpractice claims between 2006 and 2015, at a cost of $11 million. Ting, in another example of referral-loop breakdown, recalls referring a patient with a slightly elevated PSA level in his blood to a urologist to check for possible prostate cancer, a slow-growing malignancy. The urologist contacted the patient, but the patient declined to make an appointment. 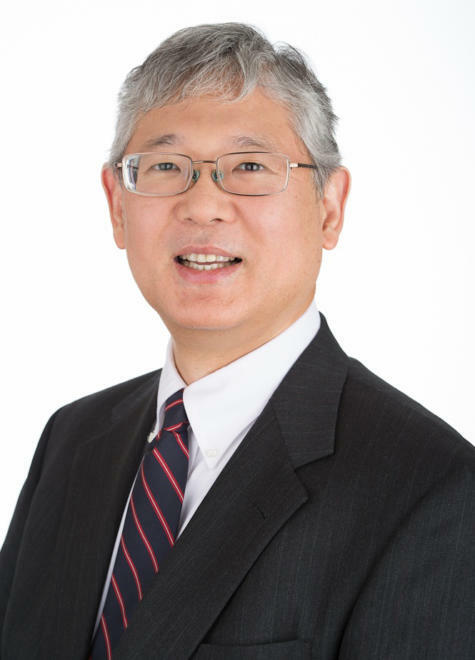 It wasn’t until months later, at his patient’s next scheduled visit, that Ting learned the appointment had not occurred and heard the man’s concerns. The patient is now seeing a urologist, who is following him with watchful monitoring. Other potential sticking points range from determining which provider is responsible for follow-up care and reminders to knowing what medical information various specialists need – all at a time when physician burnout is high and interoperability of EHR systems remains an elusive goal. Convened with the ultimate aim of standardizing the referral loop across health care systems, the expert panel included clinicians, researchers and EHR vendors. 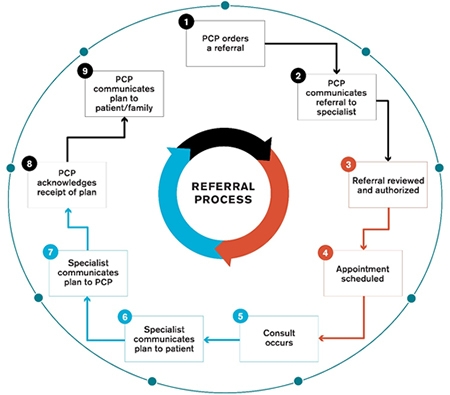 The more immediate goal is to spur providers to standardize their own referral procedures, then learn from each other to create an aligned system of referrals. Identify and address work-flow problems before implementing an electronic referral process. Develop a user-friendly, reliable method to track referral status at the patient level to ensure routing to the correct specialist. Clearly delineate responsibility for patient follow-up. Health care providers are tackling various parts of the referral loop. In one simple fix designed to reduce the electronic “noise” overwhelming physicians’ inboxes, Atrius Health no longer sends confirmation emails alerting doctors that paper notes already initialed by the physician have been scanned and entered into the EHR system. In an initiative aimed at the first step of the multistep referral loop, Atrius Health, with clinics in Massachusetts from Bourne to Peabody, has also developed an automated tracking system for high-priority referrals – the patient with the breast lump, for instance, who needs an oncology consult. A staff person regularly monitors the queue and alerts the primary care physician if, after three phone calls or other “high-quality” attempts, the patient has yet to schedule an appointment. North Shore Physicians Group, a Partners affiliate, has a similar initiative that automatically tracks referrals of patients who should be seen within one to three days, two weeks or a month. 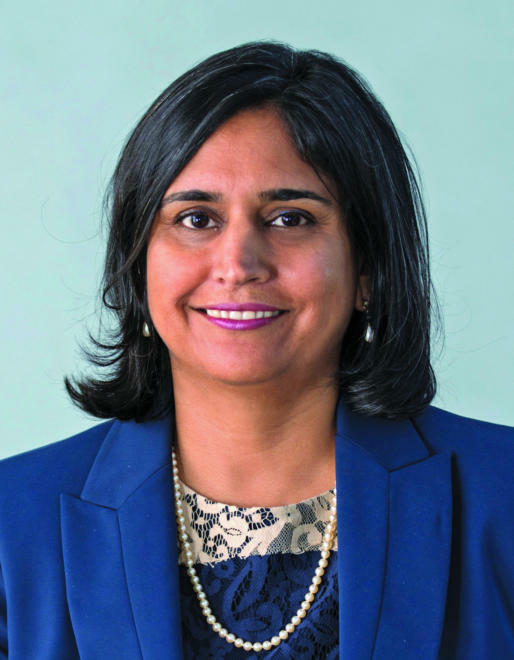 However, the electronic system lacks a flag to label a referral for a significant finding – an ovarian cyst, for instance – that does not require a specialist consult within a month, says expert panel member Adrienne Allen, MD, MPH, North Shore’s Medical Director of Quality and Safety. Efforts to better track all referrals include finding a manual workaround for those significant but less time-sensitive referrals. “We’re constantly revamping,” Allen says. Boston Children’s Hospital and MGH are establishing centralized referral centers where the goal is to manage the entire referral process, from the initial request to scheduling the patient’s visit and communicating back to the referring physician – and including registering patients and navigating benefits coverage. In complex cases, scheduling can involve coordinating appointments with multiple specialists. “We own whatever the family needs, from end to end,” says Kevin Pawl, Senior Director of Patient Access at Boston Children’s, whose Practice Liaison Program scheduled almost 60,000 outpatient appointments in fiscal year 2017. Likewise, MGH is moving to expand its Center for Ambulatory Services. Before it took over scheduling for urology, the department had 700 referral requests waiting to be processed. Many cases of patient harm, including missed or delayed diagnoses, occur when primary care physicians refer patients to specialists for follow-up care but the visits never take place. An expert panel studied the referral process and recommends ways to improve reliability through standardization, accountability, and effective use of electronic records. Referring patients to specialists in ambulatory settings can be improved by, for example, developing an effective method to track referral status and assigning responsibility for patient follow-up.